inferno is honored to have been recognized as one of The Commercial Appeal Top Workplaces 2015. 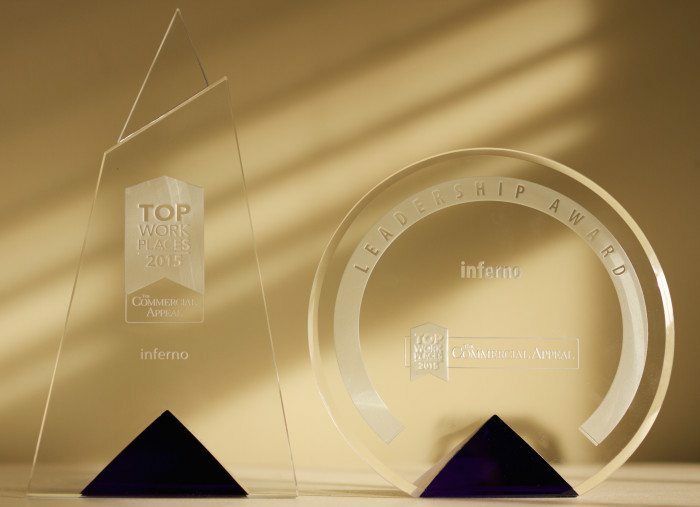 In the small business category, inferno was listed as the runner-up and received a special merit award for leadership. The Top Workplaces recognizes companies that have a great workplace, and is based on the belief that the most successful companies are the ones that employees believe in. Congratulations to all of this year’s Top Workplaces!